Posted by Editor at 11:18 PM . Skipper Azhar Amin’s brilliant all-round performance fired Government Boys Secondary School (GBSS) Korangi to six-wicket victory over Zeeshan Secondary School in a Group C fixture of the 9th PVCA/EBM Inter-School Cricket Tournament 2018 at the Eastern Star Cricket Ground, Karachi, on October 16. The tournament, being contested by 32 schools of Karachi, is being organized by the Pakistan Veterans Cricket Association (PVCA) and sponsored by English Biscuit Manufacturers (EBM), the makers of the famed Peek Freans biscuits. Electing to bat, after winning the toss, Zeeshan Secondary School lost their way after a promising start to be all out for 210 in 36.5 overs. Opener Hamza Monis, who struck one six and 15 fours in his brilliant knock of 92 coming from only 81 balls, dominated the 83-run first wicket stand with Mirza Saud Baig who contributed 24 off as many balls. At 151 for two Zeeshan Secondary School appeared heading towards a total in the excess of 250 but they collapsed dramatically, as the last eight wickets could add only 59 to the total. GBSS Korangi pulled it back through its spin trio of Habibullah (2-24), Abdul Saboor (2-24) and Faiz Ahmed (2-36) after medium-pacer Azhar Amin (2-20) got the prized scalp of Hamza Monis. The match became wide open when GBSS Korangi lost three early wickets while chasing the target of 211 in 40 overs. But the 168-run fourth wicket stand between opener Ajmal Khan (92 off 109 balls) and Man of the Match Azhar Amin, who remained undefeated on 75 off 70 balls got them over the line with seven and a half overs to spare. Wicketkeeper opener Asadullah’s century and left-arm spinner K M Hafeez’s five-wicket haul powered New Standard Secondary School to a stunning 259-run victory over Hira Foundation School in the Group C match of the 9th PVCA/EBM Inter-School Cricket Tournament 2018 at the Asghar Ali Shah Stadium, Karachi, on October 15. 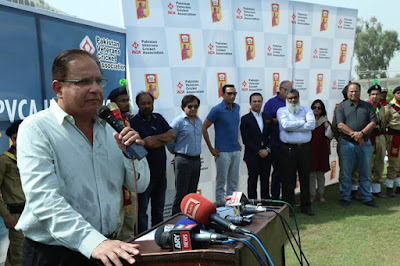 The tournament is being organized by the Pakistan Veterans Cricket Association (PVCA) and sponsored by English Biscuit Manufacturers (EBM), the makers of the famed Peek Freans biscuits. Asadullad, declared Man of the Match, smashed a couple of sixes and 18 fours in his magnificent knock of 160 coming from 130 balls. Haider Zaman (34 off 33 balls) and skipper K M Hafeez (29 off 32 balls) lent him admirable support as New Standard Secondary School, batting first after winning the toss, posted a staggering total of 328 for six in the allotted 40 overs. The contribution of 50 sundries, having as many as 44 wides, also contributed in boosting their score. As the bowlers of Hira Foundation School came for severe punishment, Medium-pacer Usman Maqbool was the most economical bowling giving away 38 runs in eight overs while Azan Ahmed, also a medium-pacer, picked up a couple of wickets for 60 runs. Chasing a formidable of 329 in 40 overs, Hira Foundation School wilted under the scoreboard pressure and the whole team was bundled out for 69 in 28.5 overs and more than half of them (35) came in the form of extras. K M Hafeez, with left-arm spin, returned the dream figures of five for five off eight overs, four of which were maidens. Medium-pacer Muhammad Shiraz (3-23) and off-spinner Uzaifa Shaikh (2-3) shared the remaining wickets. Posted by Editor at 11:44 PM . Kamran Public School whipped Superior Educational Academy by eight wickets in a Group B fixture of the 9th PVCA/EBM Inter-School Cricket Tournament 2018 at the Eastern Star Cricket Ground, Karachi, on October 15. The tournament, being contested by 32 teams, is being organized by the Pakistan Veterans Cricket Association (PVCA) and sponsored by English Biscuit Manufacturers (EBM), the makers of the famed Peek Freans biscuits. Superior Educational Academy’s skipper, Zunair Ali Khan, won the toss and decided to bat first but his team was unable to make the most of it and they were bowled out for 92 in 32.1 overs with only opener Shameer Ali (31 off 53 balls) and Usman Mansuri (21 off 30 balls) could enter double figures. The innings was rocked by the Kamran Public School’s spin trio of Abdullah Ashfaq (3-17), Hasan Jafri (2-13) and Rashid Ghani (2-16). Set to score 93 in 40 overs, Kamran Public School needed only seven overs to complete the job, losing only a couple of wickets in the bargain. Captain Hasan Jafri, who opened the innings, led the victory charge as he hammered one six and 10 fours in his whirlwind 52 off 22 balls. He was adjudged Man of the Match after Mouzair Ali Khan had finished the job in style, striking three boundaries in his unbeaten 16 off nine deliveries. Posted by Editor at 10:10 PM . Left-arm spinner Tayyab Hussain powered St Paul English School to a convincing seven-wicket victory over Falconhouse Grammar School in the opening match of the 9th PVCA/EBM Inter-School Cricket Tournament 2018 at the Karachi Gymkhana Cricket Ground on October 11. Tayyab, adjudged Man of the Match, returned the figures of 4 for 22 off six overs which sent Falconhouse Grammar School crashing to a paltry 84 all out in 21.3 overs. St Paul English School raced to the modest target of 85 with as many as 18.4 of 40 overs to spare. The first match of the tournament, being organized by the Pakistan Veterans Cricket Association (PVCA) and sponsored by English Biscuit Manufacturers (EBM), the makers of the famed Peek Freans biscuits, turned out to be a one-sided affair with St Paul English School dominating the proceedings from the outset. Falconhouse Grammar School batted first after winning the toss but only opener Muhammad Farjad (21 off 34 balls) and number ten Zain Mazhar (12 off seven balls) could enter double figures as they struggled against the left-arm spin of Tayyab Hussain and off-spin of Saad Abdul Rahman. St Paul English School lost an early wicket but solid knocks from opener Saad Baig (21 off 50 balls) and Shamsher Daniyal (15 off 43 balls) put them firmly in control and the cameo from Khizar Khan, who remained unbeaten on 24 off 20 balls, completed a comfortable victory for them. Younis Khan, a former Pakistan captain and one of the greatest-ever batsmen produced by the country, inaugurated the ninth edition of the PVCA/EBM Inter-Schools Cricket Tournament 2018 in a colourful ceremony at the Karachi Gymkhana Cricket Ground on October 11. The members and officials of all the participating 32 schools were also in attendance, alongwith the functionaries of the tournament organizing committee, in the inauguration ceremony that lasted about an hour. The tournament is being organized by the PVCA and sponsored by English Biscuit Manufacturers (EBM), the makers of the famed Peek Freans biscuits. 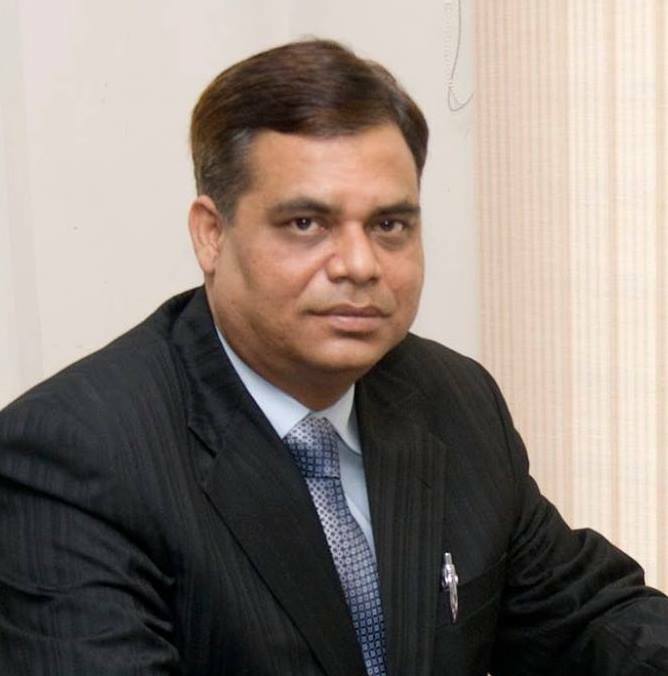 The PVCA will be spending over Rupees two and a half million in holding the event whose semifinals and finals, to be telecast live, are planned to be staged at here at the National Stadium. A total of 55 matches are scheduled to be played over a period of couple of months. The participating 32 teams have been divided equally in eight groups which includes eight government schools of the metropolis. At the end of the league matches, all the eight group champions will be advancing to the knockout stage of the competition, starting with the quarter-finals on November 26. The semifinals on December 14 and 15 will be followed by the final on December 16. 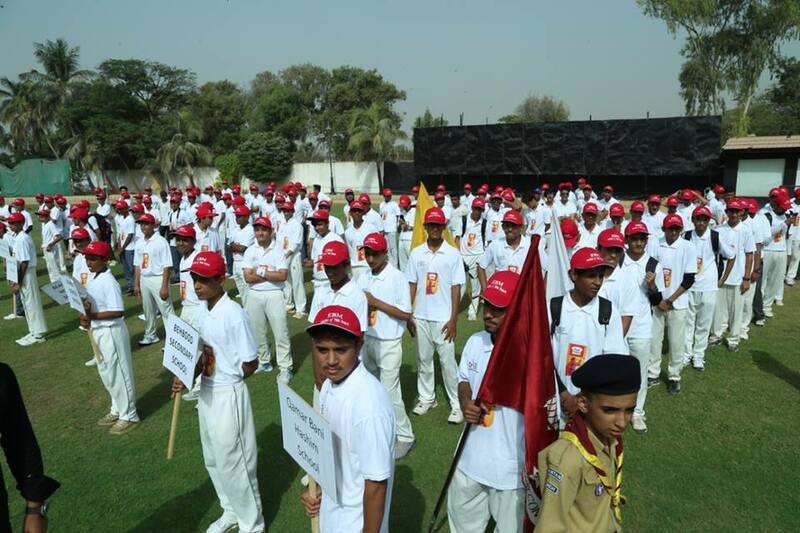 Each school has been allowed to field one guest player in a match, provided he doesn’t belong to any of the other participating school and hails from Karachi. 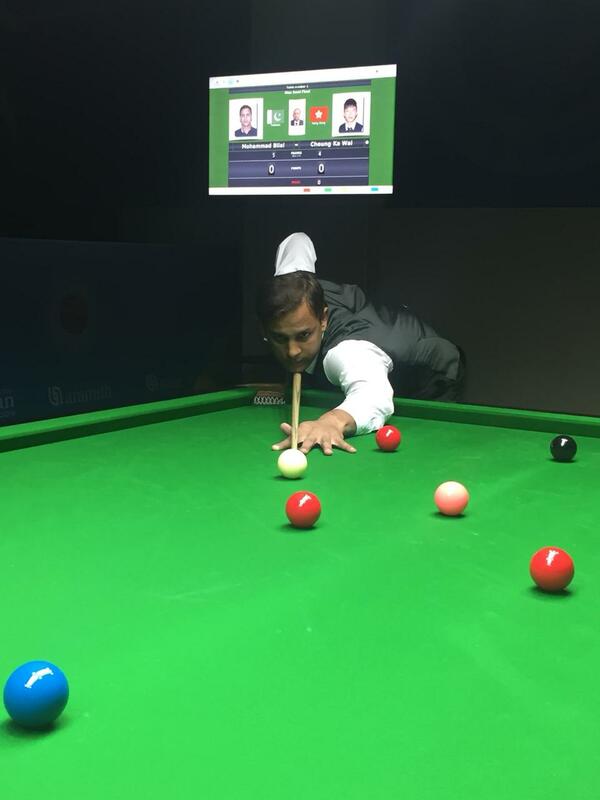 The organizing committee will strictly monitor the age of the players and if any player is found to be overage, the defaulting school will be scratched from the tournament. Besides arranging for meals and refreshments during matches, the organizers will also be providing shirts and caps to the participants and it will be mandatory for them to wear the sponsored shirts and caps during their matches. 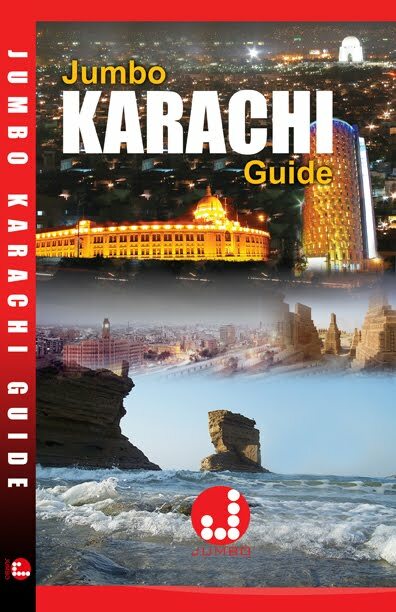 Alongwith the Karachi Gymkhana Cricket Ground, the other venues to be used for the tournament will be National Stadium, Naya Nazimabad Stadium, Asghar Ali Shah Stadium, Eastern Star Ground and RLCA Ground. 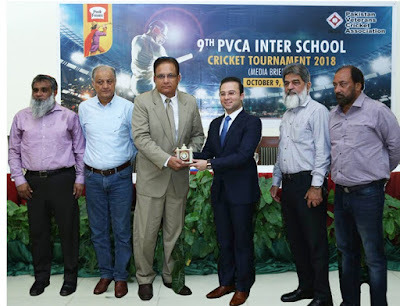 The PVCA has been organizing the Inter-Schools tournament in Karachi for the ninth time, having launched it with great fanfare in 1999. Posted by Editor at 1:46 PM . Younis Khan, one of the greatest-ever batsman to be produced by Pakistan, was feted recently by the Global Sports, a non-profit organization incorporated in the US, for having reached the milestone of 10,000 runs in Test cricket. 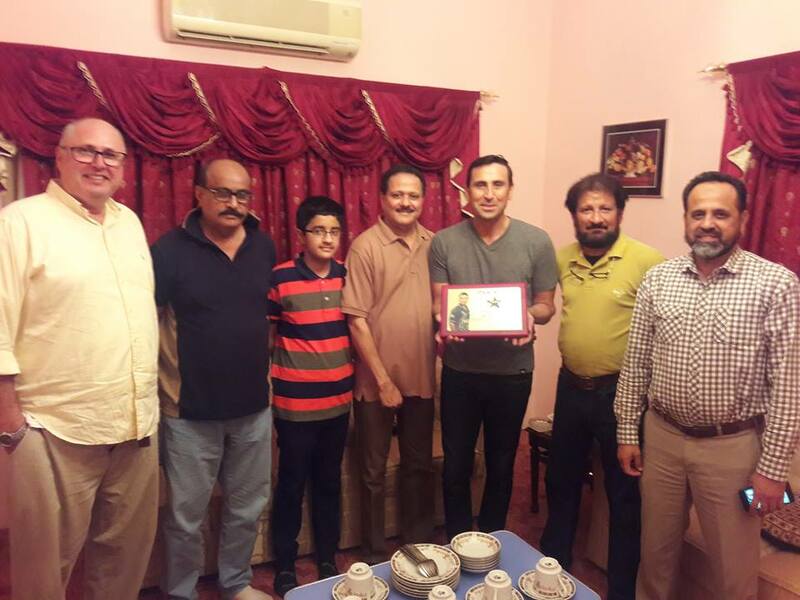 Although the batting maestro had retired from international cricket soon after having attained the unique honour in the Caribbean last year, Younis was belatedly honoured by the US-based entity in his hometown, Karachi. Naeem-ul-Haq, a former cricketer and now a qualified coach, having relocated to the US, presented the award to Younis on behalf of the Global Sports in a simple but graceful ceremony during his current visit to Karachi. “We had originally planned presenting this award to the great Younis Khan in the West Indies when he had earned the coveted distinction of becoming the first Pakistani to get to the magical figure of 10,000 Test runs. 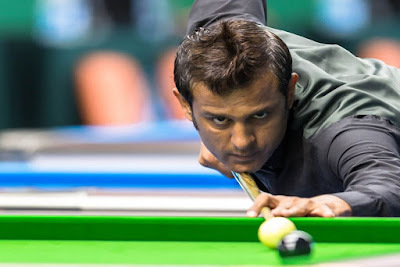 Better late than never and we have finally done it,” Naeem remarked on the occasion. Naeem, who happens to be one of the ardent supporters of Younis, described him as a living legend. “For some reason or the other, he didn’t get the recognition he so richly deserved. Throughout his career he silenced his critics with his bat. 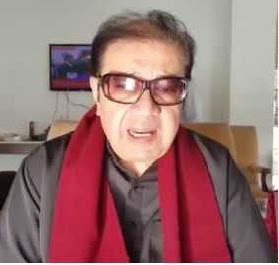 He was a man of few words but he scored heavily most of the times to prove his critics wrong time and again,” Naeem complimented. “The records of Younis speak for themselves. He scored no less than 10,099 runs in 118 Test matches which include as many as 34 centuries. His career batting average of 52.05 was phenomenal. In fact he remains the highest runs-getter as well as the scorer of the highest number of Test centuries for Pakistan. Yet he was subjected to undue pressure which ultimately motivated him to perform even better,” he added. 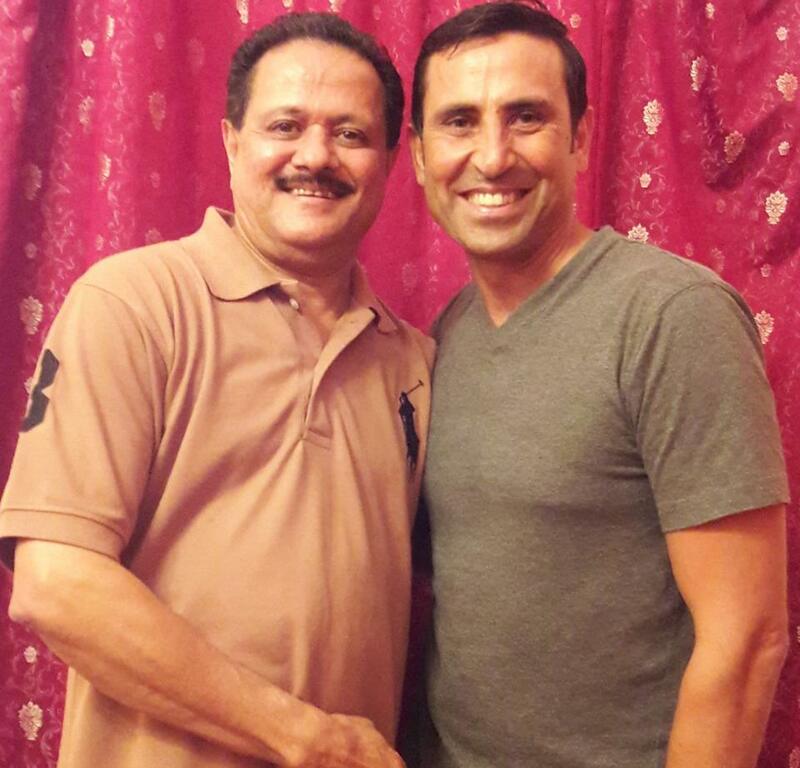 Younis, in his brief remarks, thanked the Global Sports for having recognized his efforts by presenting him an award. He lauded the role of the Michigan-based organization in promoting cricket in US and he also expressed the desire to participate in the next year’s Diversity Cup Cricket Tournament. “Every single effort made for the promotion of cricket in any part of the world has to be commended. It’s very encouraging to find dedicated cricket lovers taking the time out for the game that’s so dear to their heart,” Younis stated. Anwar-ul-Haq, who mentored Younis in the early part of his career, was also present in the ceremony. “Younis has been a quick learner from the outset. 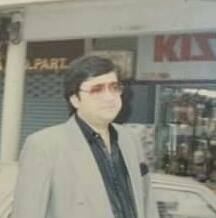 He always took his lessons very seriously and he was never afraid of working hard. 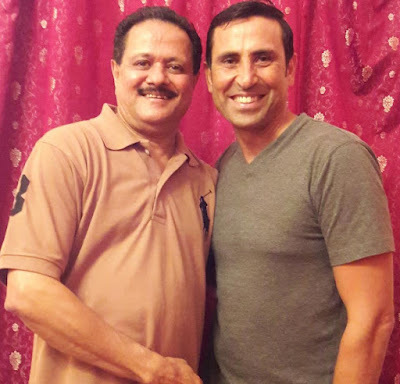 That’s why he went from strength to strength in international cricket, overcoming all the challenges with his will power allied with sound technique,” Anwar, who coached Younis at the Muslim Commercial Bank (MCB) where both of them were employed together, observed. 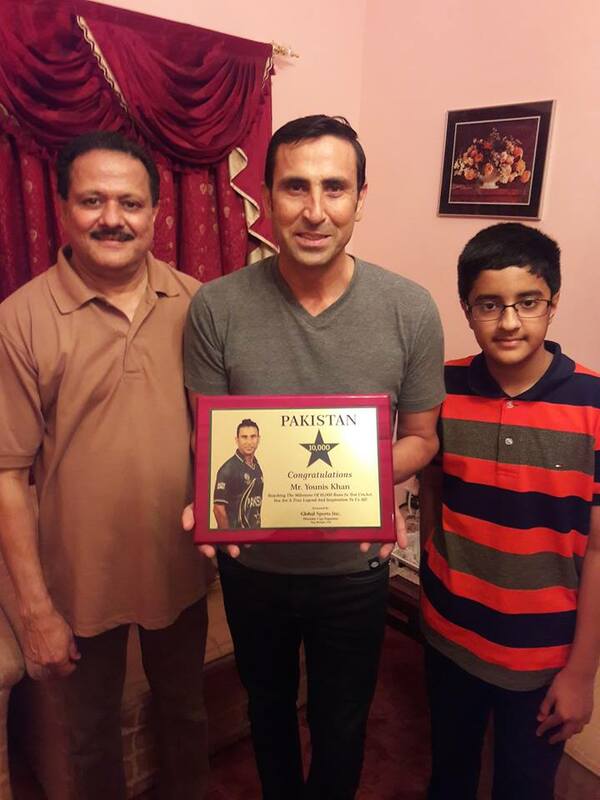 Younis has continued to hold Anwar in high esteem, recalling with affection their companionship at the MCB, an institution which used to take pride in nurturing young talent.